In 1989, luthier Matthias Dammann invented the first “double-top” classical guitar. 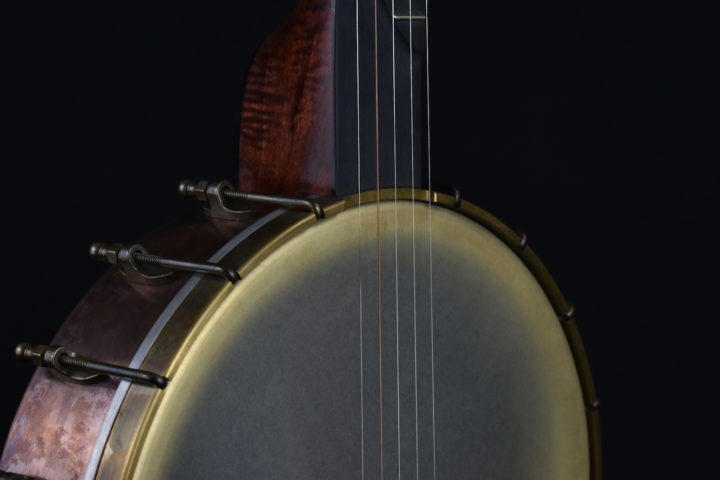 The concept—a guitar with a top featuring two ultra-thin tonewoods sandwiching a core to give it strength—has been embraced by nylon-string players for its projection and sensitivity. 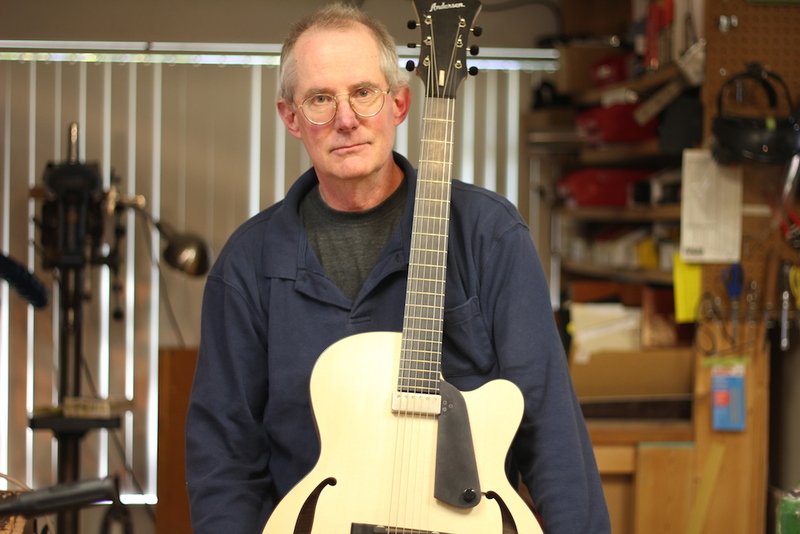 In 2012, Seattle builder Steve Andersen decided to try his hand at creating a double-top steel-string archtop guitar. On Andersen’s creation, thin pieces of Englemann spruce (around 1mm thick) sandwich a sheet of DuPont’s Nomex for the guitar’s top. 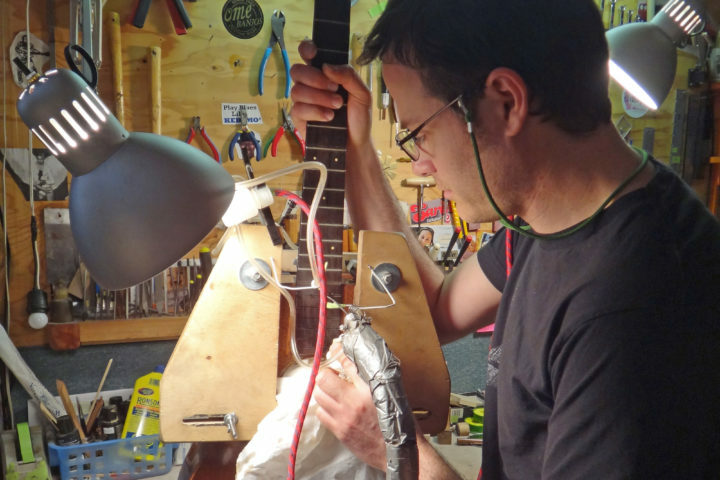 These days, it’s a common construction technique for classical builds, but groundbreaking for a jazz guitar. In the video above, we interview Andersen about the creation of this guitar and get a hands-on demo as to how it was crafted. We also watch as guitarist Bill Frisell—one of Andersen’s best-known customers—tries the new guitar design out, completely unplugged, for the first time. 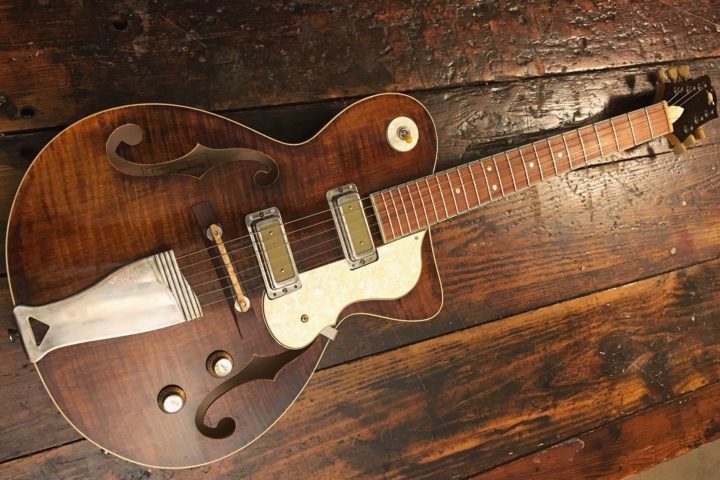 You can read more about the guitar and how it was built on Andersen’s site.